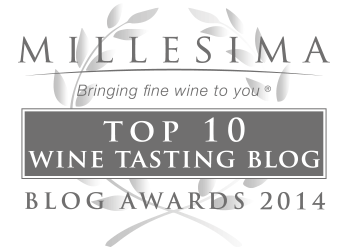 One of my favorite things about working with Snooth.com is getting to write these really fun (and incredibly educational) collaboration pieces alongside some of the finest wine writers in the industry. Each month, Snooth picks a topic and sends it out to a select group of writers from around the globe. 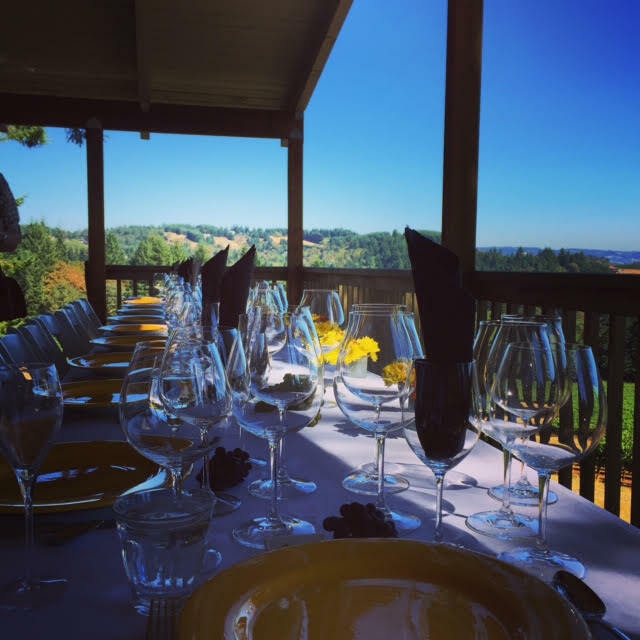 This group of wine-centric writers then has the opportunity to share their thoughts, opinions and wine notes on the same subject; resulting in a piece that is comparable to a concert with many diversified voices singing the same song – valuable opinions and a plethora of ideas for wine enthusiasts of all levels. The most recent subject that our group of writers was tasked to write about was “Special Occasion Wines Worth the Price ($30 or more)” – the wines that are worth saving money for and are perfect for taking to parties and giving as gifts. 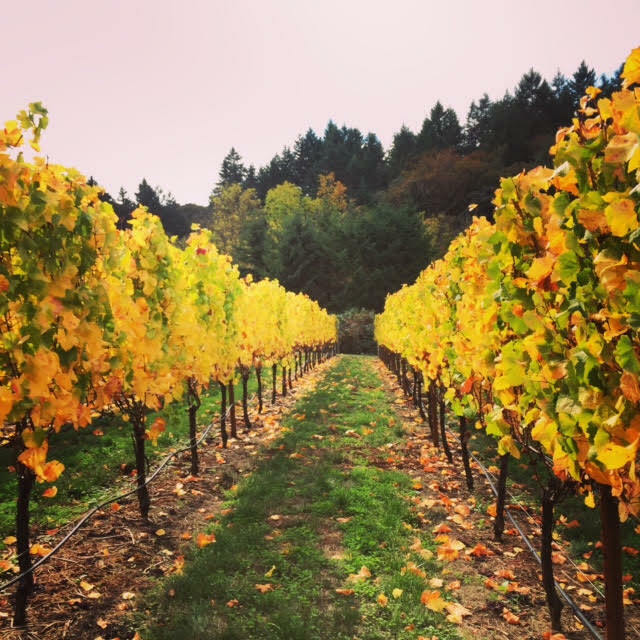 Living in Oregon, I’m blessed with the ultimate of wine opportunities to savor extraordinarily layered, fresh, pure, complex and balanced hand-crafted diverse wines, year in and year out – from the Applegate Valley AVA in the south to The Rocks District at Milton-Freewater in the north. Passionate vineyard managers and talented, dedicated winemakers work in perfect harmony with Oregon’s complex micro-climates to create distinctive wines with brilliant characteristics that truly reflect the terroir. 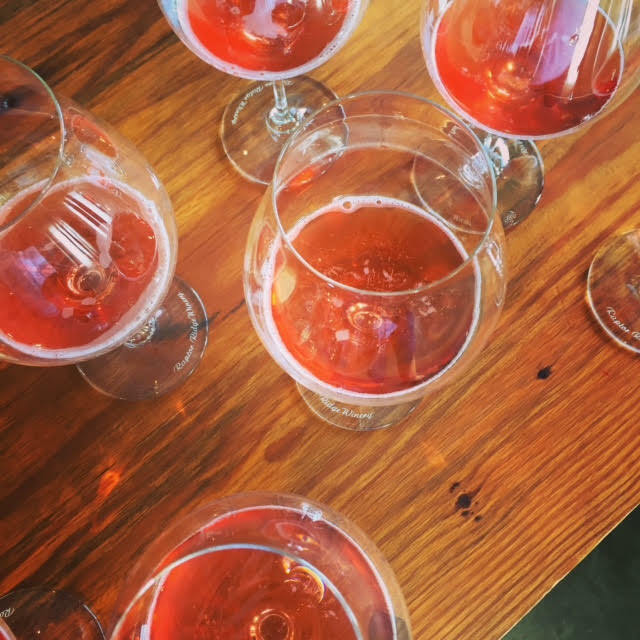 With consistent unpredictable weather patterns, a winemaker’s talent genuinely shines when producing wines of great caliber, regardless of vintage variation; therefore, special occasion wines hit the palate in seamless waves of complexity and unforgettable layers of depth – no matter the cost. 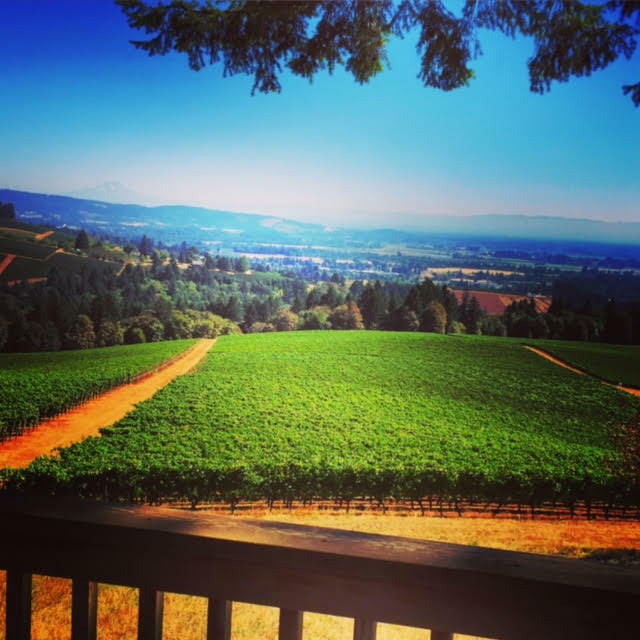 The breathtaking view from the Knudsen family cabin overlooking their vineyards and much of the Willamette Valley. 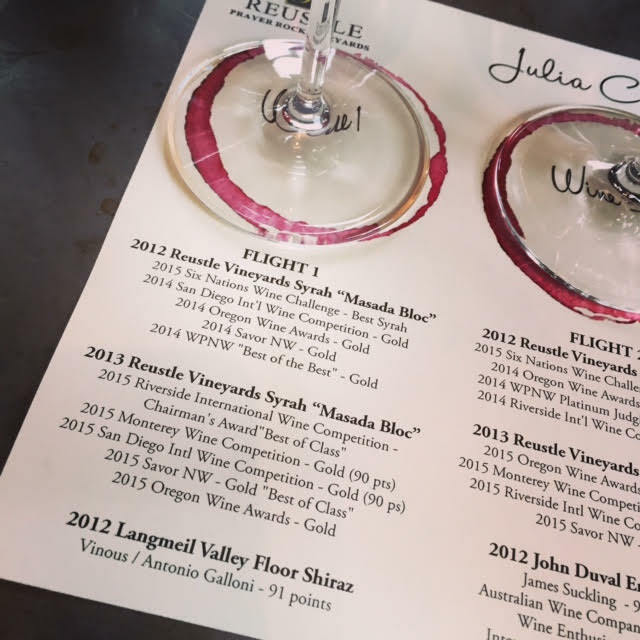 Reustle Vineyards Masada Bloc Syrah 2012 ($32) – With 52 wines competing in the Syrah category at the 6 Nations Wine Challenge in Australia this year, it wasn’t a Shiraz that was awarded The Best Syrah of the New World, it was a Syrah from Reustle Vineyards in Oregon’s Umpqua Valley. Beautifully integrated tannins and solid acidity are the backbone of this bold yet elegant Syrah. Coffee, mocha and bright red fruits are highlighted by lovely white pepper aromas that carry through to the palate where the tannins showcase its elegance. Grochau Cellars Bjornson Vineyard Designate Pinot Noir 2012 ($38) – I met small-production winemaker, John Grochau, several years ago and loved his winemaking philosophy as much as his savory, textured wines, “Minimal handling, subtle coaxing, oak as a seasoning not as a main dish: These are the hallmarks of our wines. Honest, accurate, true to their roots and to the wonderful subtleties of vintage variation.” When John met the Bjornson’s and found out they had planted a vineyard next door to one of his favorite vineyards, Seven Springs, he knew that he would want to purchase fruit from them as soon as their vineyard started to produce a crop. He left them his number and fortunately they remembered to contact him. Combine John’s winemaking philosophy with the Bjornson’s meticulously farmed fruit, and a balanced, elegant beauty with super fine tannins, pie cherries, earth and John’s signature savoriness hits the palate with silky lush waves and a memorable lengthy finish filled with vibrant acidity. Knudsen Vineyards Pinot Noir 2013 ($55) – Bringing their late father’s vision and passion for wine back to life (after he purchased and planted an unprecedented 200 acres in te Dundee Hills back in the early 1970s), the four children of Oregon wine pioneer Cal Knudsen successfully brought the Knudsen label back to life in 2012 (read the full story here). The 2013 Pinot Noir is complex and full of minerality and earth combined with red and dark fruit. A lush and silky mouthfeel displayes elegance, while lively acidity and soft tannins give it perpetual balance – Pinot Noir at its finest. 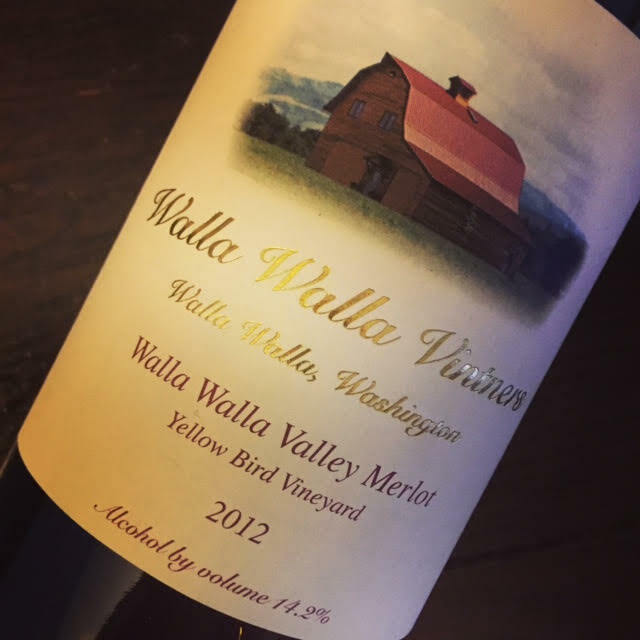 Walla Walla Vintners Yellow Bird Merlot 2012 ($38) – Washington! 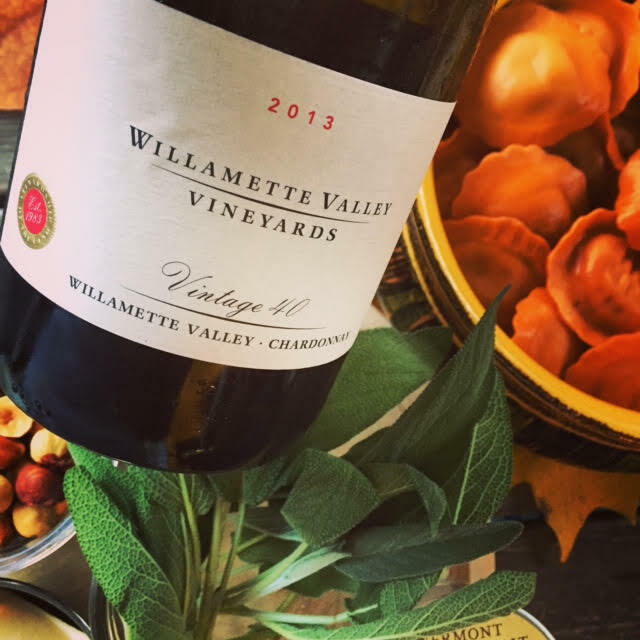 Yes, as I mentioned above, “Living in Oregon, I’m blessed with the ultimate of wine opportunities to savor extraordinarily layered, fresh, pure, complex and balanced hand-crafted diverse wines, year in and year out,” and this often includes the wines of Washington, Oregon’s neighbor to the north. Washington’s Walla Walla Valley AVA offers some of the best Merlots on the planet. The most deliciously complex Merlot I have ever had was produced by Walla Walla Vintners. Sourcing fruit from Yellow Bird Vineyard, which is conveniently located adjacent to the big red-roofed barn winery and tasting room of Walla Walla Vintners, owners Gordy Venneri and Myles Anderson (along with winemaker William VonMetzger), have managed to turn me (a non-loving Merlot drinker) into a passionate Merlot enthusiast. The 2012 Yellow Bird Merlot is full of depth, character and complexity. Blackberry, blueberry and black cherry fruits are highighted by white pepper, espresso, cola and smoke. A full bodied wave of lush fruits flows beautifully on the palate and silky texture meets firm yet elegant tannins mid-palate. A long, juicy finish lingers for a what seems a lifetime, and it’s unlike any Merlot I’ve ever had. Without a doubt, the finest Merlot I’ve ever had.